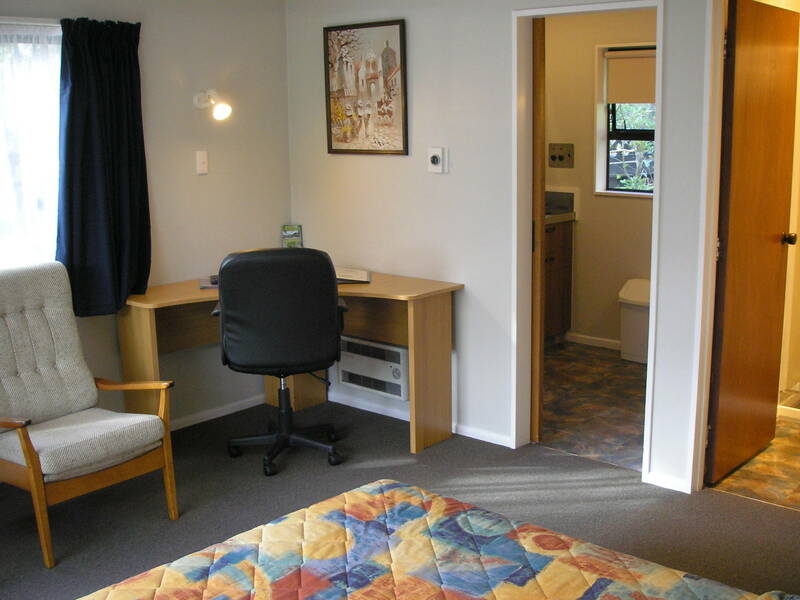 AWATEA PARK MOTEL AND CONFERENCE CENTRE is situated on the edge of beautiful and tranquil Awatea Park. Although situated in the heart of Palmerston North, Awatea Park offers peace amidst the city bustle. Our motel on the park offers guests 16 ground-floor motel suites that accommodate 1-6 persons. All suites have parking at door. All have full kitchen facilities, data port phones, wireless internet, and a children's playground that includes a trampoline, swing and slide. Guest laundry, BBQs, outdoor furniture on site. Group bookings welcome. Guide dogs also welcome. Awatea Park Conference Centre can cater for 20-40 persons in theatre or boardroom-style. Ground-floor, air-conditioning/heating, white boards, flip chart, TV/video, overhead projector with screen, phone, fax and photocopy service, computer and printer with broadband internet connection. We are able to offer a full professional food service that can be flexible and tailored to your requirements. Hosts: Sylvia and Wayne..